1. Better- The Client Globex wants to improve their process of business delivery by improving the ease of access and management of the warehoused grains. 2. Faster- With the implementation of this project, the process of selling the warehoused grains would be faster. 1. The objectives set by Globex should be achieved with the help of the project. 2. The Project is needed to be implemented as inexpensively as possible. The timeframe for achieving the desired MOV of the organization will be six months from the project initiation. The Globex and Virtucon will be able to achieve the desired target by ensuring successful implementation of the application and the website. It is important to identify the scope of the project in order to ensure that the implementation of the project by the project management team follows the goals and the objectives of the project. The scope of this project is to implement the website and the smartphone application in an inexpensive manner as possible. The scope will be managed by ensuring that each project deliverables are completed within a scheduled time (Heagney, 2016). The Functional Manger of the project will be responsible appropriate project monitoring and control. Apart from that the resource manager will be responsible for managing the resources of the project. 1. Virtucon will be able to implement the project in an inexpensive manner as possible. Resources will be allocated according to the project activities. 3. Specification reviews are taken into consideration. 2. Desired quality of the project is met. Willcocks, L. P. (2013). 9 Evaluating the Outcomes of Information Systems Plans Managing information technology evaluation—techniques and processes". Strategic Information Management, 239. According to Williocks (2013), project evaluation is important in order to ensure that the project has been able to meet its desired goals. It is an integral process of project management that ensures that needs of the project are met by the project team members. Project evaluation is important for in information technology projects mainly because the information systems that are being developed in the project proposes needs thorough inspection about its characteristics and the features of the project. The analysis and evaluation of the project helps in easier management of the project and improves the process of project closure. It is a project management technique that ensures that the project is implemented according to the project plan and the identified objectives of the project (Kerzner & Kerzner, 2017). The evaluation process of the project covers the economic evaluation and highlights the profits or the losses that the project has met. However, there are certain concerns associated with the project evaluation techniques (Leach, 2014). This process is mainly lengthy and is often uncalled for. However, with an accurate project evaluation, it is possible to ensure that the project that will be delivered to the client meets all the expected requirements of the project. Aziz, R. F. (2014). RPERT: Repetitive-projects evaluation and review technique. Alexandria Engineering Journal, 53(1), 81-93. According to Aziz (2014), accurate estimation in the project is essential in order to ensure successful execution of the project. PERT is a project management tool that helps in easier estimation of the project activity and the cost. This is one of the major tools for project evaluation. The use of PERT chart in project evaluation helps in ensuring the clients will be delivered with a successfully completed project. Project Evaluation and Review Technique is a statistical tools that is widely used by the project managers in ensuring that correct estimation process is followed in the project. An accurate project estimation further helps in easier management and execution of the activities and the deliverables of the project. PERT methodology is quite similar to critical patyn methodology and is often used for accurate scheduling and management of the tasks associated with the successful completion of the project. Thus it can be said that PERT method is one of the major project management tool for project evaluation. A PERT chart is used for scheduling, organizing and coordinating the project management tasks. Thus it can be said that project evaluation is important part of project management. Agyei, W. (2015). Project planning and scheduling using PERT and CPM techniques with linear programming: case study. International Journal of Scientific & Technology Research, 4(8), 222-227. According to Agyei (2015), PER and CPM are two most essential techniques that are mainly used for project evaluation. Project evaluation is necessary for successful completion of the project and therefore accurate tools for project evaluation and control are needed to be identified. PERT and CRM are two of the most important project management tools that ensures successful completion and execution of the project evaluation phase. With these two methods, accurate project estimations are done that helps in easier management of the project and further helps in ensuring that the project meets the standards and the expectations of the clients. The statistical calculation of the activities and the estimation of the project time help in accurate implementation of the project. Thus these two techniques help in easier management of the project. Project evaluation is particularly important as in unveils the bugs and the issues associated with a project. The aim of the project evaluation phase is to ensure that the implemented project has followed the set standards and the contribution of these two tools in project evaluation is huge. 1. Agyei, W. (2015). Project planning and scheduling using PERT and CPM techniques with linear programming: case study. International Journal of Scientific & Technology Research, 4(8), 222-227. 2. Aziz, R. F. (2014). RPERT: Repetitive-projects evaluation and review technique. Alexandria Engineering Journal, 53(1), 81-93. 3. Beringer, C., Jonas, D., & Kock, A. (2013). Behavior of internal stakeholders in project portfolio management and its impact on success. International Journal of Project Management, 31(6), 830-846. 4. Binder, J. (2016). Global project management: communication, collaboration and management across borders. Routledge. 5. Burke, R. (2013). Project management: planning and control techniques. New Jersey, USA. 6. Heagney, J. (2016). Fundamentals of project management. Amacom. 7. Hwang, B. G., & Ng, W. J. (2013). Project management knowledge and skills for green construction: Overcoming challenges. International Journal of Project Management, 31(2), 272-284. 8. Kerzner, H. (2018). Project management best practices: Achieving global excellence. John Wiley & Sons. 9. Kerzner, H., & Kerzner, H. R. (2017). Project management: a systems approach to planning, scheduling, and controlling. John Wiley & Sons. 10. Leach, L. P. (2014). Critical chain project management. Artech House. 11. Schwalbe, K. (2015). Information technology project management. Cengage Learning. 12. Willcocks, L. P. (2013). 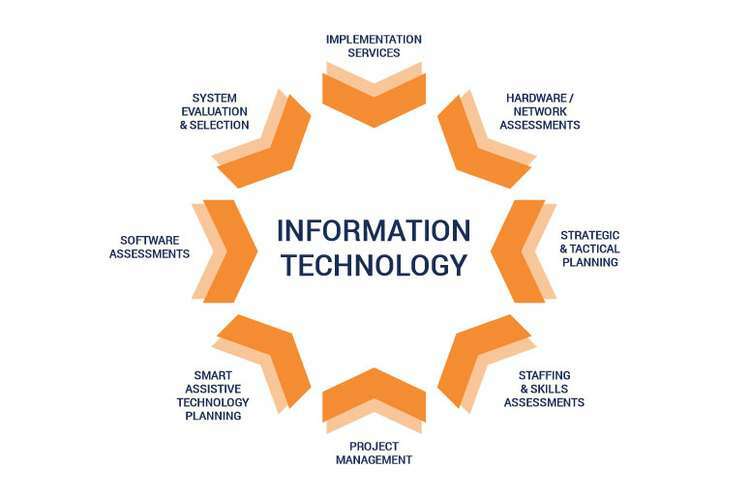 9 Evaluating the Outcomes of Information Systems Plans Managing information technology evaluation—techniques and processes". Strategic Information Management, 239.